There are so many twists and turns in this book it makes it impossible to guess what will happen next. 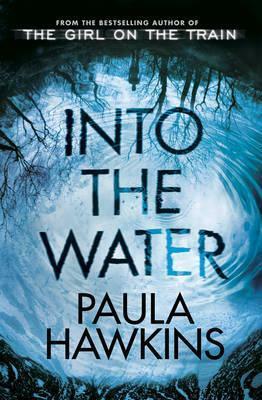 It’s an interesting take on a kidnapping story following Flora, a kidnapping survivor who is now searching for other missing women. Throughout the book, we find out what happened to Flora during those the 472 days she was held captive, and what is happening to her now. I recommend this book to anyone that likes suspense and mystery, it’s a great thriller you won’t soon forget. An escaped kidnapping victim becomes an avenger of innocents. Can she escape when she’s targeted again? The eighth novel in Sunday Times bestseller Lisa Gardner’s detective D. D. Warren series. 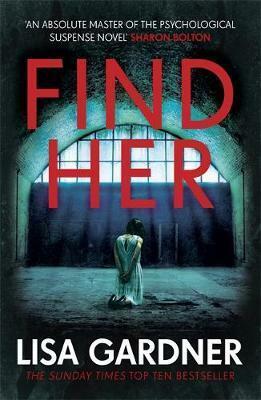 Harlan Coben says Find Her is ‘taut psychological suspense’ which ‘should not be missed’. A lost girl found 472 days locked in a pine box, at the mercy of a madman. Flora Dane survived her hell with only one goal: develop all the deadly skills necessary to make sure she’s never caught again.another girl missing detective D.D. Warren believes that flora may be the key to finding missing college student, Stacy Summers. But she must follow rules that Flora has no interest in. For Flora no risk is too great, no cost too high, even if it means playing into a predator’s hands. Two victims. One cop. 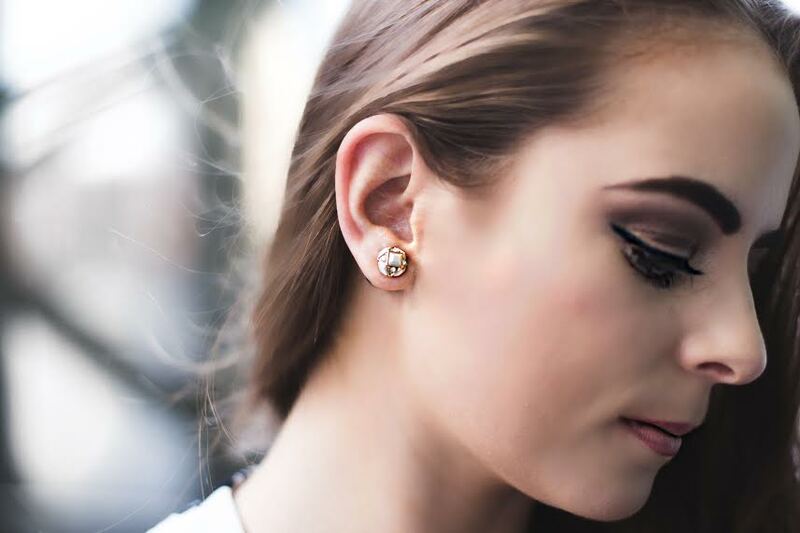 Time is running out…if you’re going to find her. Another great ‘who done it’ story. It’s fast-paced and addictive with lots of twists and turns throughout. I read this book in a week and loved it! It’s a book about family secrets and going to great lengths to get what you want. You never know what’s happening on the other side of the wall. Your neighbour told you that she didn’t want your six-month-old daughter at the dinner party. Nothing personal, she just couldn’t stand her crying. Your husband said it would be fine. After all, you only live next door. You’ll have the baby monitor and you’ll take it in turns to go back every half hour. Your daughter was sleeping when you checked on her last. But now, as you race up the stairs in your deathly quiet house, your worst fears are realized. She’s gone. You’ve never had to call the police before. But now they’re in your home, and who knows what they’ll find there. This book was really different to anything I’ve read before but I honestly couldn’t put it down! The diary entry style made it really easy to read and I had it finished after two or three afternoons of reading. I was sad when it ended as I wanted to read more! The book gives such an interesting insight into the highs and lows of working for the NHS as a doctor. The Author Adam Kay does a brilliant job of mixing humour and the sadness of real-life happenings in hospitals. Welcome to life and death decisions. Welcome to a constant tsunami of bodily fluids. Welcome to earning less than the hospital parking meter. Wave goodbye to your friends and relationships . . . Welcome to the life of a junior doctor. 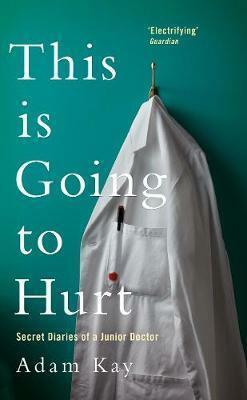 Scribbled in secret after endless days, sleepless nights and missed weekends, comedian and former junior doctor Adam Kay’s This Is Going to Hurt provides a no-holds-barred account of his time on the NHS front line. Hilarious, horrifying and heartbreaking by turns, these diaries are everything you wanted to know – and more than a few things you didn’t – about life on and off the hospital ward. And yes, it may leave a scar. I’m a little late to the game with this one. The Crazy Rish Asians book series started in 2013 and now has three books and a movie in the making. I finally decided to see what all the fuss was about and I was not disappointed! It is part romance, part family drama, part Mean Girls, and 100% entertaining. I would define this book as the perfect beach read. I can’t wait to read the next two books and look forward to the movie coming out in August this year. 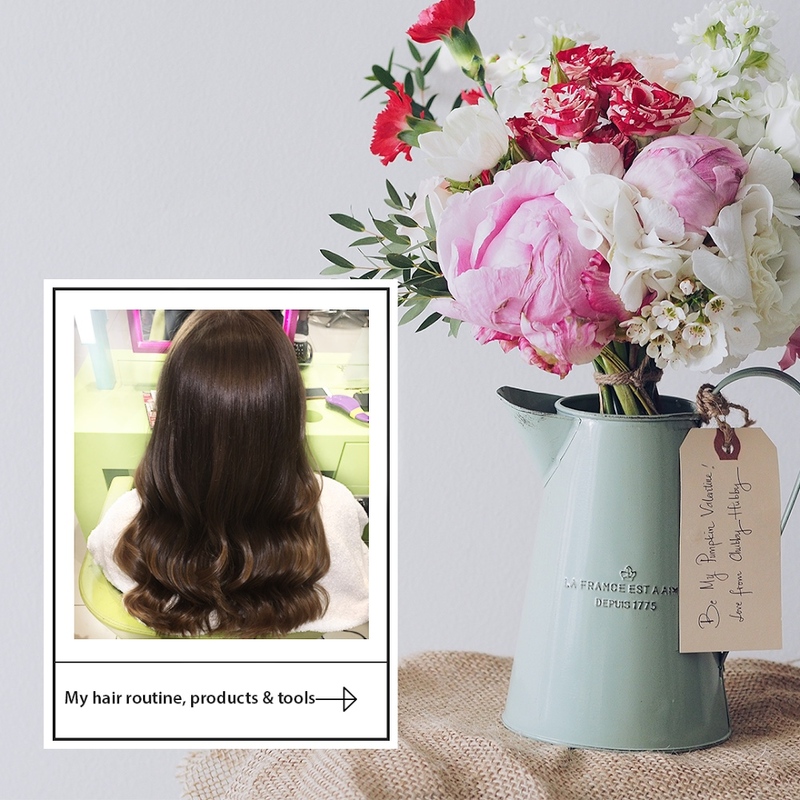 When Rachel Chu agrees to spend the summer in Singapore with her boyfriend, Nicholas Young, she envisions a humble family home and time with the man she might one day marry. What she doesn’t know is that Nick’s family home happens to look like a palace, that she’ll ride in more private planes than cars and that she is about to encounter the strangest, craziest group of people in existence. 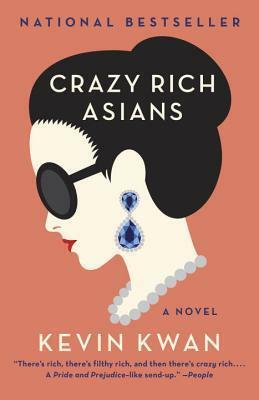 Uproarious, addictive, and filled with jaw-dropping opulence, Crazy Rich Asians is an insider’s look at the Asian jet set; a perfect depiction of the clash between old money and new money – and a fabulous novel about what it means to be young, in love, and gloriously, crazily rich. I’m so happy that all four books I have read this year so far have been really great stories. I have already purchased Into the Water and Sapiens (see below) and will at some stage read the Crazy Rich Asians sequels. I’ll report back with reviews and more book recommendations next month! But for now, below is book blurbs for the books next on my list. Now Nel is dead. They say she jumped. 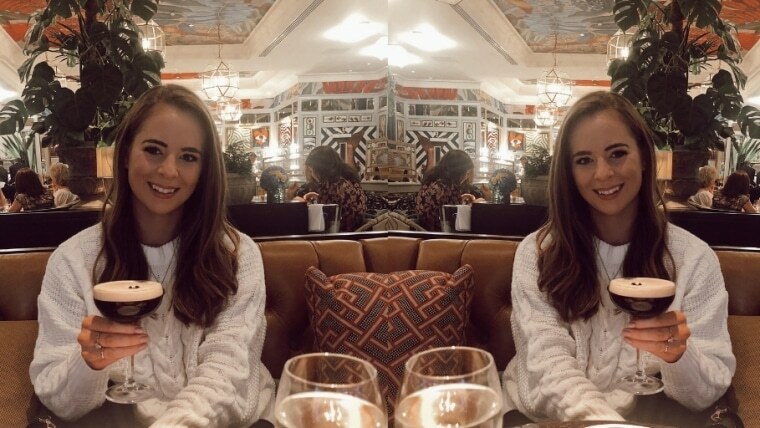 And Jules has been dragged back to the one place she hoped she had escaped for good, to care for the teenage girl her sister left behind. But Jules is afraid. So afraid. Of her long-buried memories, of the old Mill House, of knowing that Nel would never have jumped. And most of all she’s afraid of the water, and the place they call the Drowning Pool. The global phenomenon. The Sunday Times Number One Bestseller. The New York Times Top Ten Bestseller. Planet Earth is 4.5 billion years old. In just a fraction of that time, one species among countless others has conquered it. Us. We are the most advanced and most destructive animals ever to have lived. What makes us brilliant? What makes us deadly? What makes us Sapiens? In this bold and provocative book, Yuval Noah Harari explores who we are, how we got here and where we’re going. 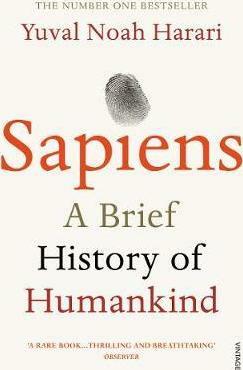 Sapiens is a thrilling account of humankind’s extraordinary history – from the Stone Age to the Silicon Age – and our journey from insignificant apes to rulers of the world ‘It tackles the biggest questions of history and of the modern world, and it is written in unforgettably vivid language. You will love it!’ Jared Diamond, author of Guns, Germs and Steel ‘Unbelievably good. Jaw dropping from the first word to the last’ Chris Evans, BBC Radio 2 Yuval’s follow up to Sapiens, Homo Deus, is available now. On the eve of her wedding to Nicholas Young, heir to one of the greatest fortunes in Asia, Rachel should be over the moon. She has a flawless Asscher-cut diamond from JAR, a wedding dress she loves more than anything found in the salons of Paris, and a fiance willing to sacrifice his entire inheritance in order to marry her. But Rachel still mourns the fact that her birthfather, a man she never knew, won’t be able to walk her down the aisle. Until: a shocking revelation draws Rachel into a world of Shanghai splendour beyond anything she has ever imagined. 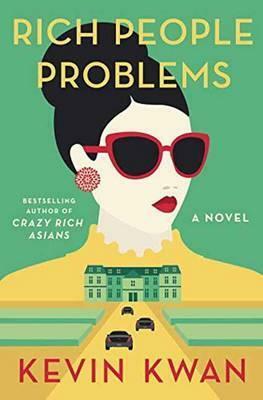 Rich People Problems Kevin Kwan. When Nicholas Young hears that his grandmother, Su Yi, is on her deathbed, he rushes to be by her bedside—but he’s not alone. The entire Shang-Young clan has convened from all corners of the globe to stake claim on their matriarch’s massive fortune. With each family member vying to inherit Tyersall Park—a trophy estate on 64 prime acres in the heart of Singapore—Nicholas’s childhood home turns into a hotbed of speculation and sabotage. As her relatives fight over heirlooms, Astrid Leong is at the center of her own storm, desperately in love with her old sweetheart Charlie Wu, but tormented by her ex-husband—a man hell bent on destroying Astrid’s reputation and relationship. Meanwhile Kitty Pong, married to China’s second richest man, billionaire Jack Bing, still feels second best next to her new step-daughter, famous fashionista Colette Bing. A sweeping novel that takes us from the elegantly appointed mansions of Manila to the secluded private islands in the Sulu Sea, from a kidnapping at Hong Kong’s most elite private school to a surprise marriage proposal at an Indian palace, caught on camera by the telephoto lenses of paparazzi, Kevin Kwan’s hilarious, gloriously wicked new novel reveals the long-buried secrets of Asia’s most privileged families and their rich people problems. I hope you enjoyed some of these book recommendations. I would love to hear the books you have been loving this lately and if you have read any of the books I mentioned above. Let me know in the comments below! 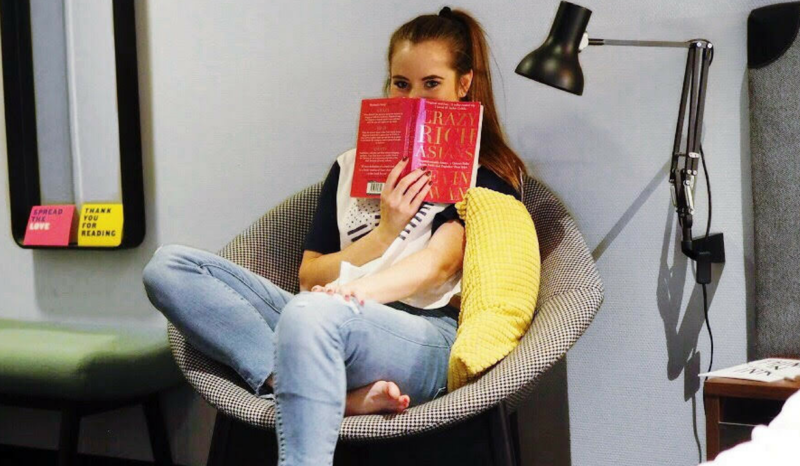 You can read my post on my last year’s favourite inspiring books HERE and my reading list from all the way back in summer 2016 HERE. You have some really good books on the list!!! I am definitely picking up Into The Water. omg yes crazy rich asians were one of the recent series that actually has me excited just talking about it!!! 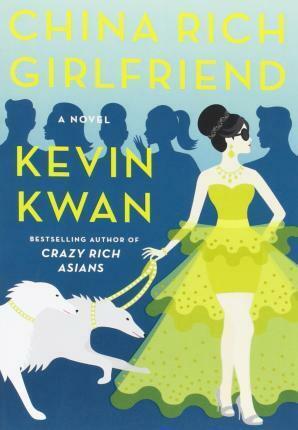 it’s such a great series and kevin kwan wrote a great series! can’t wait for the movie!!!! The Couple Next Door and Into the Water are two of my favorite books!! so good! Ooh I haven’t read any of these books but they all sound so great!! I have never read any of these! I will need to check them out. I have the Rich Asians books on my to-read list this year! the kevin kwan series is currently in my kindle shelf – they look so good! All of these books seem great! I have about 3 of them on my reading list currently! I want to get Find Her though, that one looks really interesting. I haven’t read any of these books so I’ll have to check them out! I have heard such great things about these books. They are actually all on my list to read. I just finished the good girl and REALLY enjoyed it! Awesome book list! 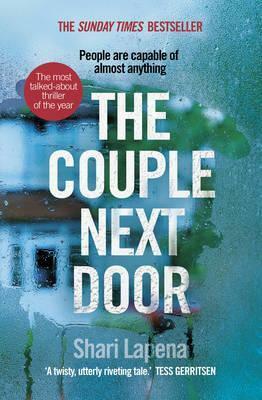 I LOVED The Couple Next Door– I literally couldn’t put it down and finished within a day. I just read her latest as well- another good one! I have totally fallen short with reading books, but this is definitely a reminder! I want to get into reading more! All of these look like great book recommendations. My coworker reads like crazy, so I’ll have to see if she’s heard of any of these books. I’ve been looking for some good book recommendations! I’ll add these to my reading list!